Be consoled, all you who honour my Precious Blood, nothing will happen to you. I will inspire my Representative to honour the sacrifice of my Precious Blood and the reverence of my Mother. 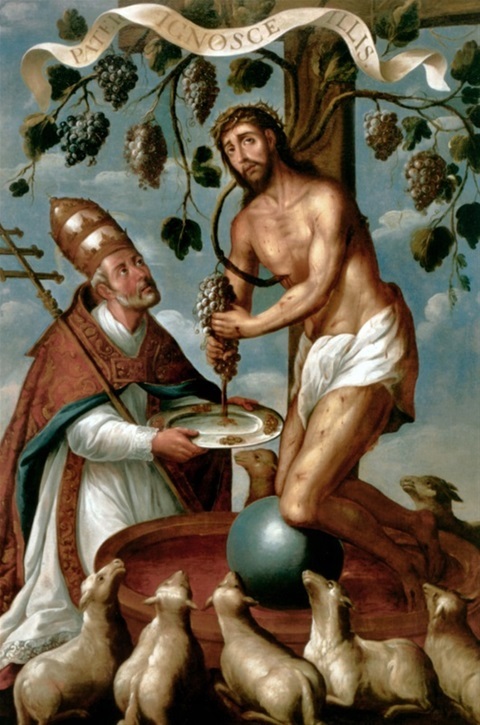 July 1: FIRST SATURDAY/The Most Precious Blood of our Lord Jesus Christ, Double of the I Class. July 2: IV Sunday after Pentecost, Double; Commemoration of Visitation of the Blessed Virgin Mary; Commemoration of Ss. Processus and Martinian Martyrs. July 7: FIRST FRIDAY/Ss. Cyril and Methodius Bishops and Confessors, Double. July 8: St. Elizabeth Queen (of Portugal), Widow, Simple. July 9: V Sunday after Pentecost, Double. July 13: St. Anacletus Pope and Martyr, Simple/Centenary of the 3rd Apparition at Fatima. July 15: St. Henry II Emperor, Confessor, Simple. July 16: VI Sunday after Pentecost, Double; Commemoration of the Blessed Virgin Mary of Mount Carmel. July 20: St. Jerome Emiliani Confessor, Double; Commemoration of St. Margaret Virgin Martyr. July 22: St. Mary Magdalene Penitent, Double. July 23: VII Sunday after Pentecost, Double; Commemoration of St. Apollinaris Martyr; Commemoration of St. Liborius Bishop and Confessor. July 24: Commemoration of St. Saint Christina of Bolsena Virgin and Martyr. July 29: St. Martha Virgin, Simple, Commemoration of Ss. Felix II Pope, Simplicius, Faustinus, and Beatrice Martyrs. July 30: VIII Sunday after Pentecost, Double; Commemoration of Ss. Abdon and Sennen Martyrs. July 31: St. Ignatius Confessor, Double. now and forever, and throughout all ages. Amen.